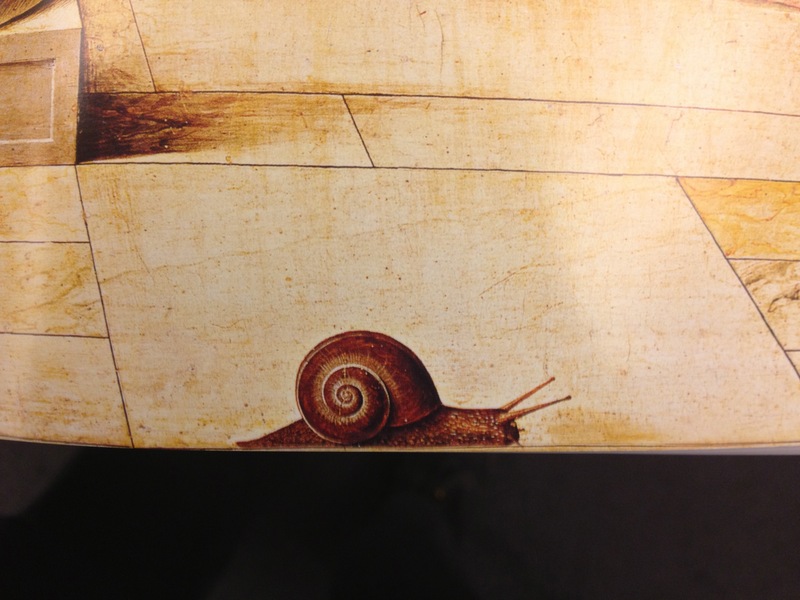 Moving on my (slimy) side-track of trying to identify land snails on paintings and other works of visual arts, I found something interesting related to European snails. By the end of the Middle Ages religious motifs were still very much ‘en vogue‘ in visual arts. 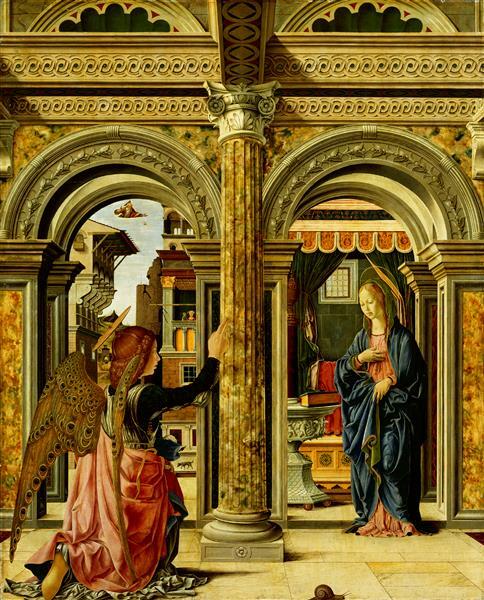 Italian painters were especially good at this theme, and one of them was Francesco del Cossa (c. 1430/1435 – 1477). He worked in Ferrara in northern Italy and made c. 1470/1472 the work ‘Annuncio’, which is now in the Staatliche Kunstsammlungen in Dresden. Anyway, what species are we seeing here? 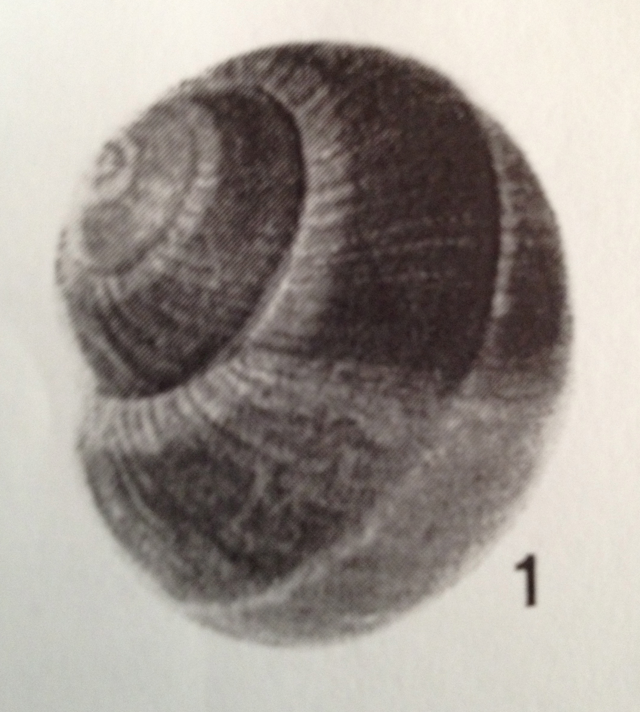 According to Aresse this is “a good old Burgundy snail” [i.e. Helix pomatia]. But I don’t think it is what Aresse thought he was seeing. Why would a painter in northern Italy use a French species he might even not have known? Would it be not more plausible to use a species that could be locally obtained? If so, we need to look at the Italian malacofauna. In Cesari (1978) I found a shell very similar to the one in Cossa’s work; pl. 5 fig. 1 shows Helix cincta Müller, 1774 from the same area where Cossa worked. The same broad pale band along the suture and a small one on the periphery. That is what I see in this snail. Cesari, P. (1978). La malacofauna del territorio Italiano (Note di aggiornamento e diffusione conoscitiva), 1o contributo: il genere Helix. — Conchiglie (Milano) 14: 35–90. Ettlinger, H.S. (1978). The virgin snail. — Journal of the Warburg and Courtauld Institutes 41: 316. Waters, A. (2008). The snail’s gaze. Available at http://intranslation.brooklynrail.org/french/the-snail’s-gaze. This entry was posted in Uncategorized and tagged biohistory, varia on December 13, 2013 by bramb. …and the very small apex characteristic for H. cincta is also depicted precisely. But I wonder, why the foot is so red – this species has a pale greyish foot, as far as I know. I don’t think the painter had the intention to make a fully accurate illustration of this snail as for a biology textbook. This was made c. 1470…; it is already miraculous that we can identify it at species level, compared to other paintings of that time.